Bali Take Restaurant is popular not only among Japanese tourists, but also Japanese people who live in Bali. You can enjoy fantastically fresh seafood bought and selected by the restaurant owner Mr.Okamoto at Kedonganan fish market every morning. Especially dishes using bluefin tuna are excellent! The restaurant also offers authentic Japanese food. It’s a Japanese restaurant. 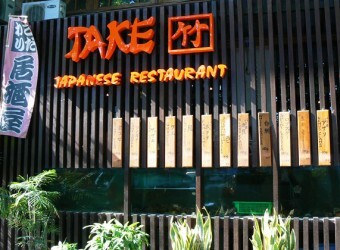 The restaurant offers Japanese menu including sashimi, tempura, Japanese-style barbecue, etc. When you eat Japanese food in Bali you’ll realize that Japan has such delicious dishes. Please try it, if you don’t suit Indonesian food taste.